Studies in art history, history of architecture and literature with a focus on 20th century and contemporary art. • 1992–97 General Manager of the Deutsche Werkbund Baden-Wuerttemberg. The Deutsche Werkbund (DWB) focuses on environmental design in the fields of architecture, urban planning and design. It was precursor to the famous “Bauhaus” and to architectural Modernism, namely to the up to this day influential “Neues Bauen” movement. • 1997–2002: General Manager of the Research Association of Lower Saxony for Interdisciplinary Research. The Research Association was established by the federal state of Lower Saxony to initiated and promote interdisciplinary research in the fields of science, technology and medicine. A special focus were research projects centering on gender studies. 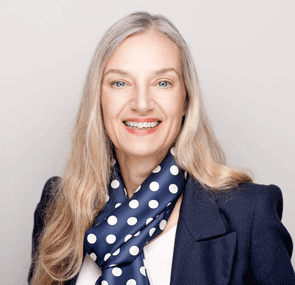 • Since 2002 General Manager of the ZKM | Center for Art and Media Karlsruhe. As an international cultural institution, the ZKM holds a unique position in the world. Focusing on New Media, its activities encompass exhibitions as well as research, development and production. • Since 2009 Teaching at the Karlshochschule International University, main focus: Culture Financing. • Since 2013 Honorary professor at the Karlshochschule International University, module Culture Financing and Law. • 2013–14 Project manager of the exhibition “Sasha Waltz Installations Objects Performances“ at the ZKM | Media Museum, September 28, 2013−January 30, 2014.